Where are the fish? Will Chesil Beach ever be the same again. The basics of fishing are so often overlooked. I have to admit that I am guilty of assuming that everyone that reads my articles, understands the basics of angling. I apologise now, if you are one of the many that think, what is he talking about when he talks about over and under rigs, or walking the dog, whilst lure fishing. I suddenly realised I had become blasé about fishing, when I was having a conversation with a mate, and he said “I wouldn’t mind getting a Bass or even a Pout”, and I replied “I don’t count Pout or Dogfish as a catch”. Within seconds I could not believe I had said that! I can remember very clearly over 25 years ago, when I lived in Scotland, talking to a friend about going on a fishing trip to Kirkcudbright, in the Solway Firth for Cod. He complained that it might be hard to get through the Dogfish, and what a pain they were. I couldn’t wait to get a sniff of a Dogfish, as at that time I had never had one, and the thought of catching a fish as big as 2lb filled me with delight. As we all know the next few weeks are going to be pretty poor for fishing, so I am going to concentrate on writing articles that will hopefully help you all catch fish. Some will concentrate on the basics of bait fishing, and some on lure fishing, which is my real passion at the moment. I will also do some more advanced techniques, so don’t expect to see too many fishing forecasts until there is something worthwhile to forecast. It is more than likely, that Chesil Beach could be quite busy over the next couple of days. However it wont be fishermen looking for a late season Cod. It will be looters, trying to scoop up some of the 11 Million cigarettes that have washed ashore from a 40ft container, that came of a Maersk container ship in the Bay of Biscay. Unfortunately the beach is littered from Chesil Cove, to as far as the eye can see with soggy packets of cigarettes. Chesil Beach forecast: Despite a few days of settled weather, Chesil still remains rough and dirty. The waves are still at least 2m plus, and the colour has not dropped out of the water yet. It is fishable with care, but unless you are a decent caster you will spend a lot of time tying on new rigs, as you continually get buried under the back wash of the surf. On a good note, there seems to be quite a few Bass on the beach, as well as reasonable sized Whiting. Several reports I had yesterday from anglers fishing Abbotsbury and West Bexington, said that they were kept very busy, with bites all day. Portland: I am still waiting for the water to clear, so I can get out lure fishing. There are some large Rockling being caught on large fish baits that have been cast out in search of Bull Huss and Conger. Weymouth Bay: Unfortunately the Stone Pier is still closed, and there is no news on when it will re-open. Anglers fishing Preston Beach are reporting fairly poor catches, with just a few Pout and small Whiting being landed. 2 Responses to "Back to basics"
I am really enjoying your posts and finding them very useful. Having just retired I have recently taken up beach fishing. I am teaching myself from various publications and just plain experiance. 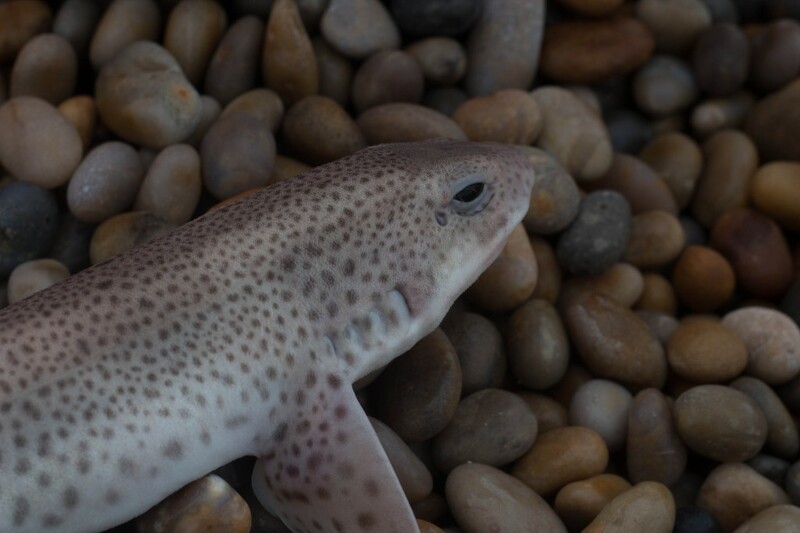 My first catch was two dog fish at Hive Beach, I was elated to say the least. Another fisherman noticed I was keeping them and when he caught one gave it to me which I thought was bery generious. They are a challenging fish to prepare and I have not mastered the art of skinning but did manage it. They are an excellent fish wiht a firm flesh and just a single backbone. We invited some friends around and my wife produced an excellent fish curry that was enjoyed by all. Great piece. I’m one of those who has a lot more to learn about different ways to fish, also to improve the methods I currently use & am quite keen to try eating Pout.